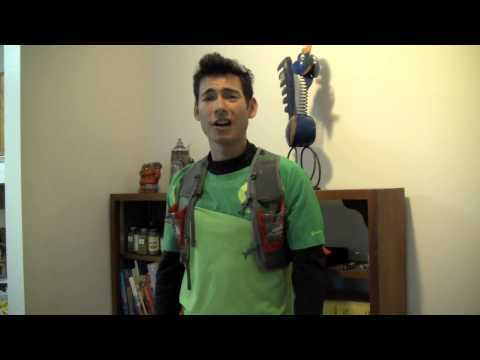 Video Log Entry: Tarawera 100k Training and Animal Sighting! Below is my latest video log entry (VLOG) from my YouTube channel “Vo2max Productions.” I ramble on a bit…. Anyway, since I have limited time to get ready for the Tarawera 100km I’ve been ramping up my mileage quickly. It turns out that taking 14 days totally off after the Bandera 100km was a great choice though as my shin has been 100% and my legs feel good (knock on wood). My weekly mileage has gone as follows: 38, 44, 93. I had a couple short (ie 10k) snowshoe races in there that were pretty intense and reminded me how bad my Vo2max and Lactate Threshold are at altitude right now. At the end of this 4th week back in training I aim to be over 100 miles (should be able to as long as I put in a good 25-30 mile long run without any issues). Just getting in a couple more long runs and having the mileage under my legs is going to make racing 62 miles a lot more manageable next month!